With shares of Facebook (NASDAQ: FB) continuing to be sold aggressively, it will be worth watching to see how well the “Facebook for Grownups” known asLinkedIn (NYSE: LNKD) does when it reports quarterly earnings later this week. Up more than 100% in its rally from latest November through the beginning of May and in correction mode ever since, LNKD shares have been on sale twice this month. In the first instance, a sell-off that took the stock lower for three out of four sessions in the first half of July was met by buying and a snapback rally gain of more than 6% in three days and more than 9% in six days. Google and Tate Modern in London recently partnered to launch a new online art experiment called “This Exquisite Forest“. Conceived by Chris Milk and Aaron Koblin, This Exquisite Forest is based on the famousExquisite Corpse, a technique invented by Surrealists in the 20th century. Internet users create “seeds” (or short animations) or build on existing ones. The goal? Growing these seeds into tree-like collections of branching narratives. To provide inspiration, seven artists from Tate’s collection (Bill Woodrow, Dryden Goodwin, Julian Opie, Mark Titchner, Miroslaw Balka, Olafur Eliasson and Raqib Shaw) have already created their own animations. When it comes to looking for jobs, you better put your best Facebook forward. Recruiters are looking, and, frankly, they’re not impressed with your poor grammar or posts about your latest unforgettable exploits. A whopping 92% of U.S. companies say they are using social networks to find talent in 2012, according to a new survey. In addition to checking your resume, nearly 3 out of 4 hiring managers and recruiters check candidates’ social profiles — 48% always do so, even if they are not provided. LinkedIn still reigns supreme as the recruiting hot spot, but some serious recruiting also takes place on Facebook and Twitter, according to the poll by social recruiting platform Jobvite, which polled more than 1,000 human resources and recruitment professionals. 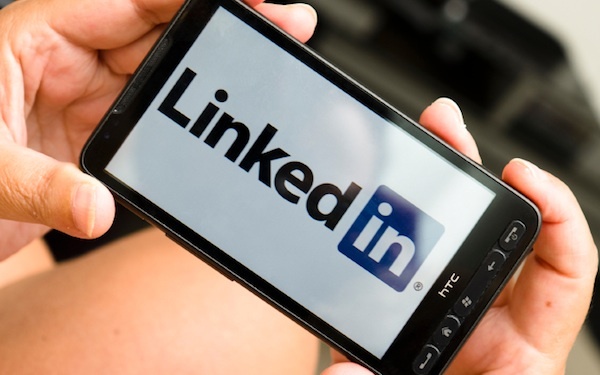 Have LinkedIn’s security woes permanently damaged the social network? After hackers last week breached the LinkedIn site, stealing more than 6 million user passwords, analysts are debating whether the attack will cause long-term damage to the social network. In the attack, users’ passwords were posted publicly to a Russian hacker forum. The incident garnered a lot of headlines, both in the trade and mainstream news media, and LinkedIn was accused of using lax security and having nothing more than light encryption to safeguard its users’ data. Many companies besides LinkedIn suffer security breaches. What’s causing the furor over the LinkedIn breach is that the company makes its name and its money from user data, yet it failed to take what security experts would call adequate steps to secure its bread and butter. Critics accuse the company of failing to protect its users. Will users stand by their social network or will they flee?